The performance of Singapore’s listed healthcare sector is measured by the iEdge SG All Healthcare Index. In the YTD, the iEdge SG All Healthcare Index has generated a total return of 7.6% vs the benchmark STI's total return of 3.9%. In the YTD, the 5 largest and best-performing healthcare services stocks were: ISEC Healthcare (+7.8%), Singapore Medical Group (+3.8%), OUE Lippo (+3.1%), Thomson Medical (+2.7%), and IHH Healthcare (+1.7%). They averaged a total return of +3.8% over the period. The majority of Singapore’s healthcare service providers have pursued international expansion plans in recent years, with operations and assets spanning multiple geographies outside Singapore. Investors can participate in the structural Asian healthcare theme through these companies. There are 18 healthcare service providers listed on SGX that operate patient care services and facilities in Singapore and worldwide. These facilities include laboratories, hospitals, nursing homes and clinics that offer services and treatments ranging from family medicine, dentistry, endoscopy and aesthetics to gynaecology, oncology, paediatrics, orthopaedics, ophthalmology and even cord blood banking. Some of the healthcare services companies that have listed on SGX in the last two years include Medinex Ltd (December 2018), Asian Healthcare Specialists (April 2018), Clearbridge Health (December 2017), and Aoxin Q & M Dental (April 2017). The performance of Singapore’s listed healthcare sector is measured by the iEdge SG All Healthcare Index, which is a free-float, market capitalisation-weighted index comprising 31 stocks. Healthcare service providers are well-represented, accounting for more than half the Index’s constituents. In the 2019 year-to-date, the iEdge SG All Healthcare Index has generated a total return of 7.6%. This compares with total returns of 3.9% for the benchmark Straits Times Index (STI) over the same period. In the YTD, the 5 largest (market capitalisation above S$100 million) and best-performing healthcare services companies on SGX have averaged a total return of +3.8%. This brings their one-year and three-year total returns to -27.8% and +23.1% respectively. They were: ISEC Healthcare (+7.8%), Singapore Medical Group (+3.8%), OUE Lippo Healthcare (+3.1%), Thomson Medical Group (+2.7%), and IHH Healthcare (+1.7%). These 5 plays have a combined market value of nearly S$20 billion, largely due to secondary-listed heavyweight IHH Healthcare. Over the same period, the 5 largest, least-performing healthcare service providers were: Healthway Medical Corp (-6.3%), Talkmed Group (-5.8%), Singapore O&G (-2.9%), Q&M Dental Group (-1.0%), and Raffles Medical Group (+0.9%). Singapore’s healthcare sector is typically viewed as a defensive segment, poised to enjoy multi-year growth prospects. Drivers of Asia’s increased healthcare spending levels include accelerated ageing rates, the rise of lifestyle diseases like diabetes and hypertension, as well as growing disposable incomes. 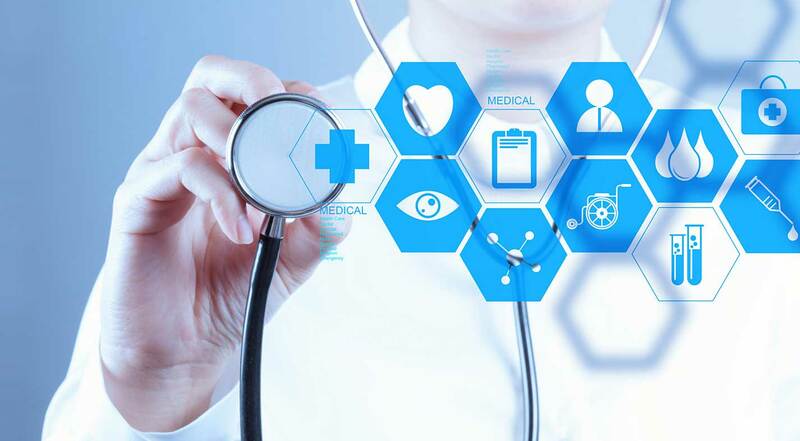 Frost & Sullivan has estimated that the Asia- Pacific healthcare industry expanded at 11.1% in 2018, accounting for 28% of the US$2 trillion global market. This represents one of the fastest growing regions in the world, with the global healthcare economy averaging only a 4.8% annual growth rate. The positive expansion is fuelled by increasing adoption of technology, innovative healthcare access programs and delivery of care outside traditional hospital settings. Between July and December 2018, Singapore’s healthcare sector saw six consecutive months of net inflows by institutional investors, according to SGX data. The sector has benefited from investor interest, following increased risk aversion on the back of higher market volatility and persistent US-China trade tensions. For a recently published Market Update on healthcare sector fund flows, click here. The majority of Singapore’s healthcare service providers have also pursued international expansion plans in recent years. Their operations and assets span multiple geographies outside Singapore, including markets in South and Southeast Asia, Northeast Asia, as well as Middle East and Europe. In particular, IHH Healthcare has medical centre and/or hospital operations in China, Hong Kong, India, Brunei and Malaysia, while its Europe and Middle East exposure includes Iraq, United Arab Emirates, Turkey, Bulgaria and Macedonia. Likewise, OUE Lippo Healthcare runs hospitals in China as well as nursing and assisted living facilities in Japan, while home-grown Raffles Medical Group has expanded its presence in more than 10 cities across Asia – operating hospitals in Hong Kong and Shanghai, as well as clinics in Vietnam and Cambodia. Investors can easily participate in the structural Asian healthcare theme through SGX-listed healthcare stocks that are rapidly expanding into regional and global markets to meet growing patient needs.